Indoors or out in the garden, this bold design will complement any decor. 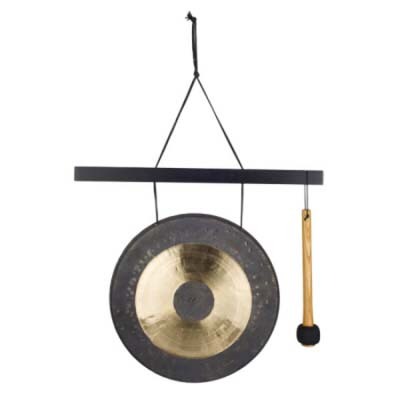 A stunning addition to any home, this gong has a beautiful tone that shimmers and changes as the gong's vibrations slowly cease. A real wonder and a great find. Materials: Black finish ash wood, hand-hammered brass gong, mallet.